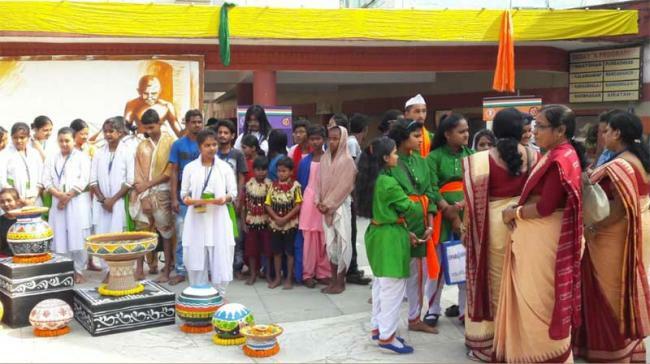 Kolkata, Dec 4 (IBNS): School children of Assam, Bihar, Jharkhand, Manipur, Odisha, Sikkim, Tripura and West Bengal had recently presented plays on Father of the Nation, Mahatma Gandhi, to mark his 150th birth anniversary celebrations. 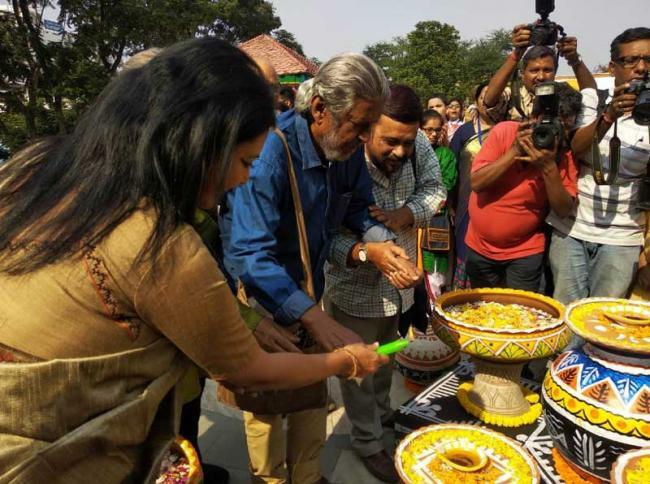 The competition of plays was organised by the Ministry of Culture and its Zonal Cultural Centres, including the Eastern Zonal Cultural Centre (EZCC), in association with the Ministry of Human Resource Development (Department of School Education & Literacy). The competition was held at the Eastern Zonal Cultural Centre (EZCC)’s Bharatiyam Cultural Multiplex here in mid-November. 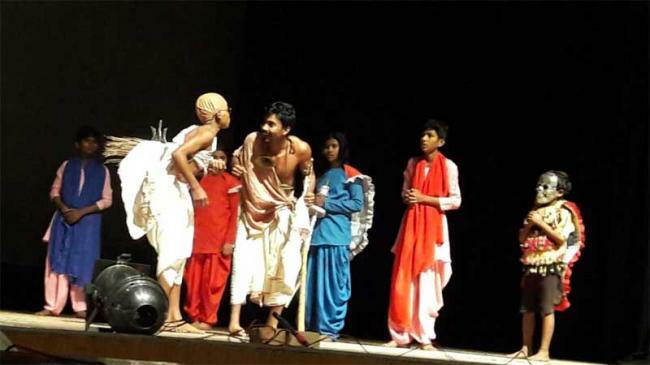 Eminent theatre personalities Rudraprasad Sengupta, Samir Biswas and Asish Chattopadhyay were the judges at a zonal-level inter-school competition at which eight 15-20 minute plays on the life of Gandhi were presented. The role of the EZCC, along with similar roles played by the six other Zonal Cultural Centres under the Ministry of Culture in the rest of India, assumes importance, with the planning and organising of the inter-school play competitions taking the form of support and cooperation extended by the Ministry in organising Gandhi’s 150th birth anniversary celebrations in association with the Ministry of Human Resource Development (Department of School Education & Literacy). The schools which presented the eight plays were Guwahati Refinery High School from Assam, Ramlakhan Singh Yadav Sarvodaya Ucch Madhyamik Vidyalaya, Punaichak from Bihar, Delhi Public School, Ranchi from Jharkhand, N. Tonchou Higher Secondary School from Manipur, Government Nodal High School, Khandagiri, Bhubaneswar from Odisha, PNG Senior Secondary School, East Sikkim from Sikkim, Dukhomoy Higher Secondary School, Tripura from Tripura, and Garhjoypur Saptarshi, Garhjoypur, Purulia from West Bengal. N. Tonchou Higher Secondary School from Manipur – the winners of this zonal-level competition – along with the winners of similar competitions organised by the six other Zonal Cultural Centres, will be invited to perform at the national level during the Kala Utsav to be held in New Delhi in December 2018. At the zonal-level competition which was held in the city, Garhjoypur Saptarshi, Garhjoypur, Purulia from West Bengal finished runners-up. On this occasion, an exhibition of paintings on Mahatma Gandhi – the entries of schoolchildren who had taken part in a recent painting workshop in Bihar – was also presented. Interactions were organised by the EZCC between the competition participants and the students of some Kolkata schools which had been specially invited. EZCC director Gouri Basu was present at the competition.